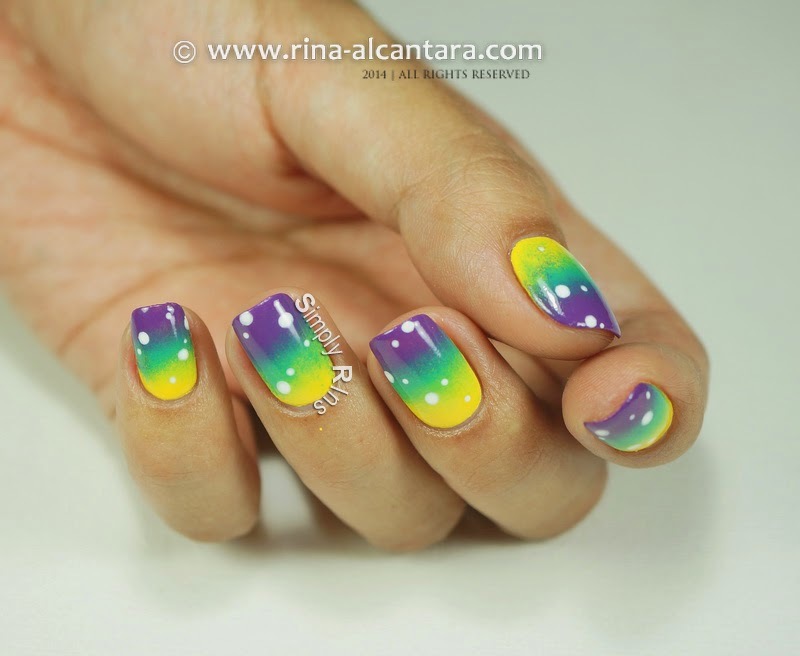 This is probably the first time you'll see a gradient manicure here in my blog. I didn't think it was my style until recently when I reviewed the Deborah Lippmann 80s Rewind Collection. I chose 3 colors from the collection and thought it would look great together. I initially wanted to use all the 6 shades, but my nails are not long enough to accommodate all 6. 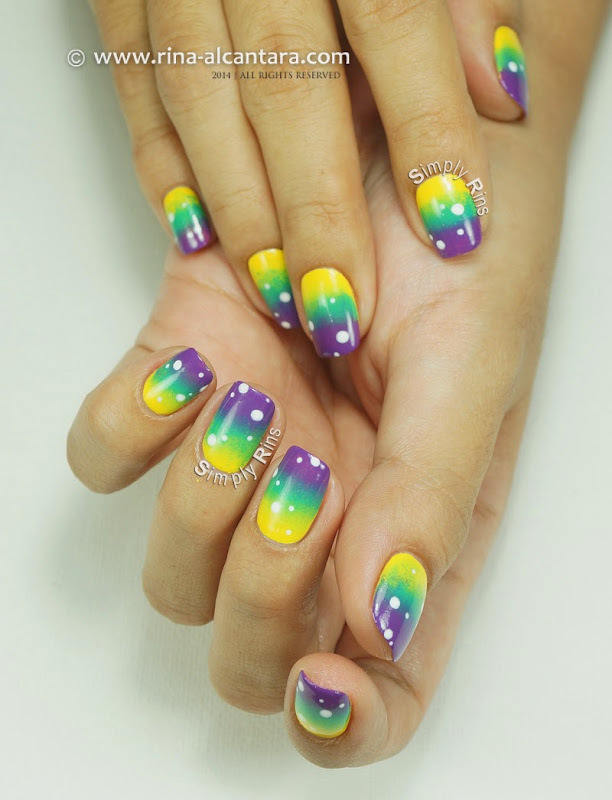 It probably would look like rainbow nails, which would be really nice. As you can see, I am not particularly good with gradients. I need more practice. I already have a few nail art ideas using this technique. One thing is for sure, I need to get a square sponge. The round ones makes it hard to cover the edges neatly. And since am an amateur at this, I ended up with a mess on my nail station. I also added a few white dots. Do you sometimes get that feeling that there's something missing in your manicure? Well, I got that and thought that adding those dots will make a difference. And I think it did. 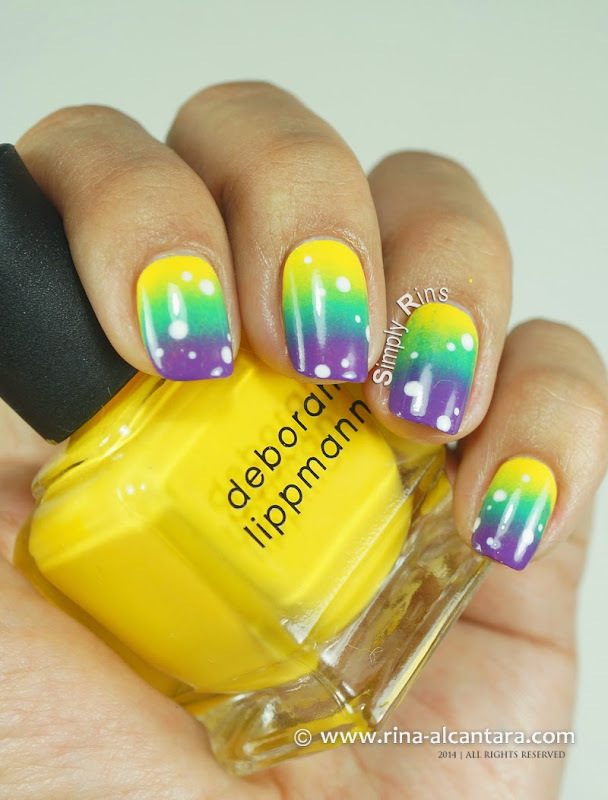 I started off with the yellow polish and built the gradient from there. I figured it would be easier to get the other colors opaque since yellow is the lightest shade among the 3 colors. Or does it really matter what color is base? Truly, nail art is a continuous learning process! I really liked how this turned out. I wore it a few days before taking it off. 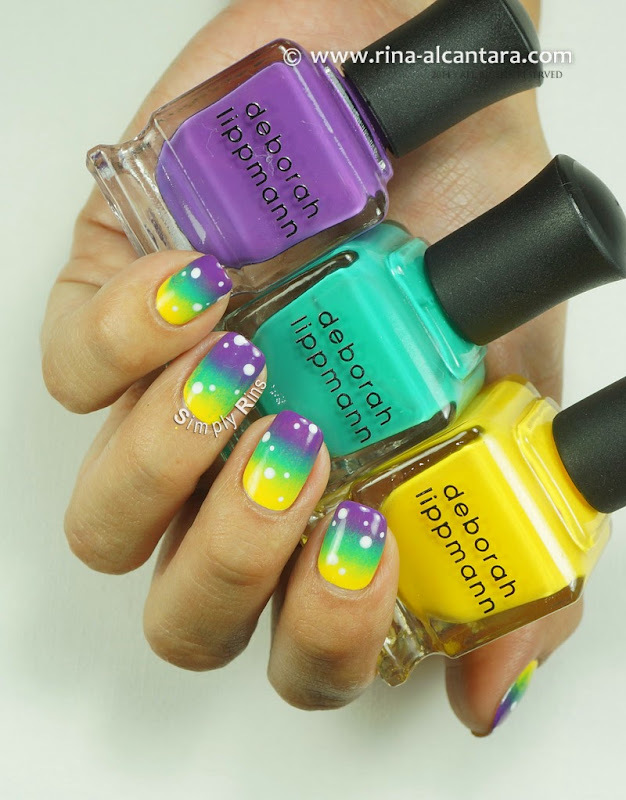 It's a cheerful color combination which is so timely because the weather was gloomy on those days that I had this on my nails. It was also so easy photograph. The number of pictures I am sharing in this post can attest to that. Well, there you have it! 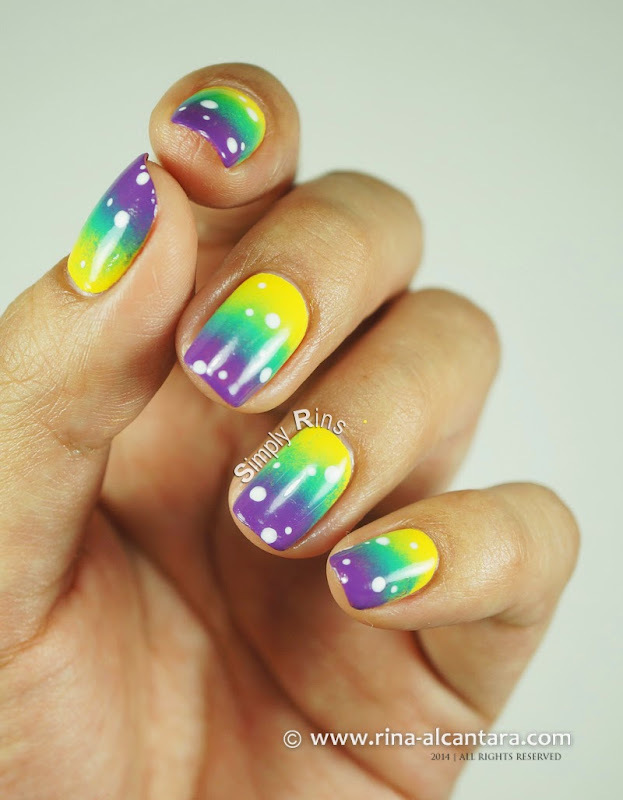 My first official gradient nail art! Will definitely be doing more of this. 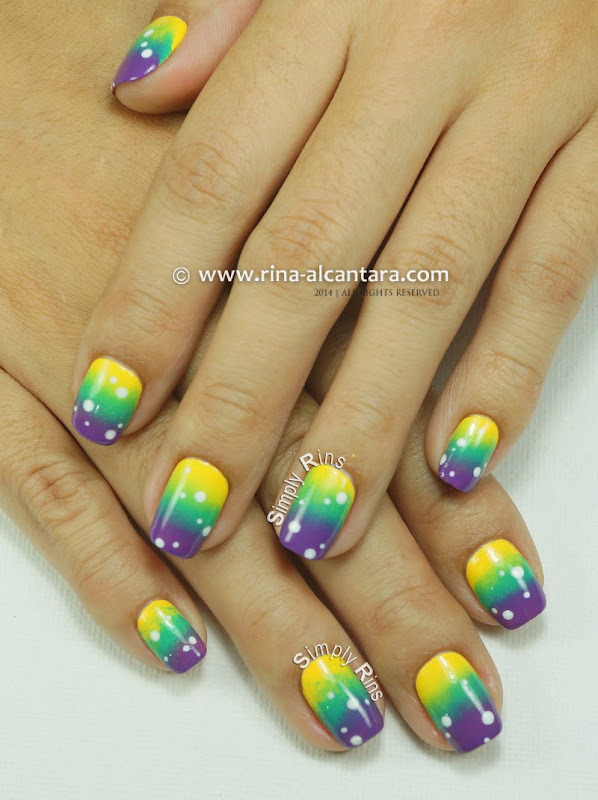 Very nice manicure, I like the colours you've used, quite unusual combination!